Cooler Master, computer component and peripheral all-stars, return this week with just the latest in their MasterKeys keyboard range. Built as a performance-focused design for gaming, the MasterKeys MK750 is the newest to incorporate Cherry MX switches and full RGB backlighting. Available today from shops and etailers, it's priced at a competitive MSRP of £149.99 inc. V.A.T. in the UK. 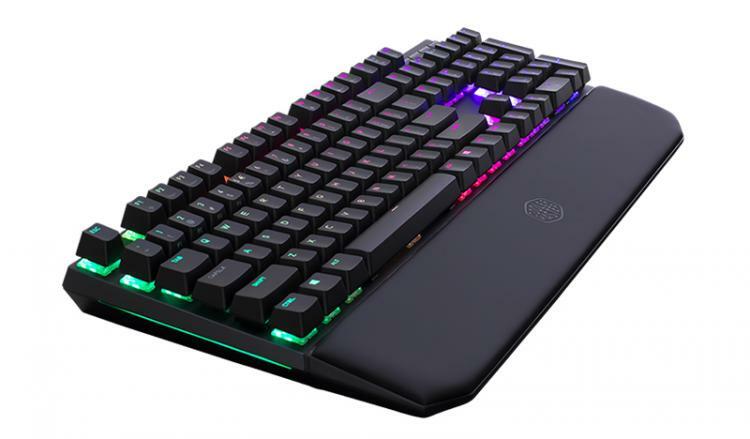 Cooler Master have a strong pedigree in mechanical keyboards - we reviewed their CM Storm Trigger way back in 2012 and most recently the MasterKeys Pro S White in February - and over the years have consistently grasped the nettle of new trends in the gaming and keyboard landscape. 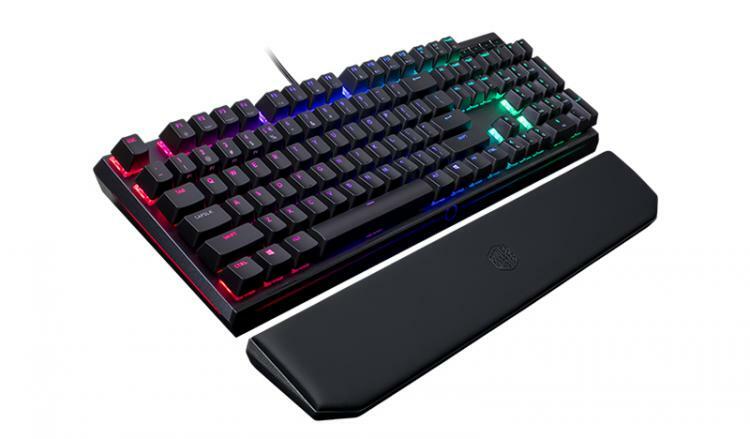 The latest and perhaps most pervasive is RGB per-key backlighting, provided in this instance by technology leaders Cherry with their MX RGB mechanical switches. Key to unlocking their potential will be new and improved configuration software; not required for day-to-day use, but allowing you to get the best out of profiles and lighting features. Retaining a solid platform is critical in mechanical keyboards, and for that purpose Cooler Master have manufactured an anodised aluminium body. Such a design will reduce or eliminate flex when striking the keys and help to ensure a consistent 'feel' from the first to its ten millionth keypress. "We wanted to further raise the bar so we designed a keyboard that harbors all of the fantastic existing features of our MasterKeys Pro line except now we added more elements that are needed for a competitive gaming set up such as dedicated media keys and removable wristrest for comfort,"
- Bram Rongen, Peripheral Sr. Product Marketing Manager. Early on Cooler Master made of point of fitting removable cables to their keyboards, and that feature returns once again in the MK750. In this instance the design calls for a removable USB Type-C cable, serving not only to increase longevity but also make replacement simple should it be required. Hopefully it won't be, even in the long term - the cable itself is braided not only for aesthetics but also to reduce wear. Also incorporated into the MK750 is a detachable wrist-rest, enveloped in ultra-soft PU leather and memory foam to provide optimal comfort during long gaming sessions. 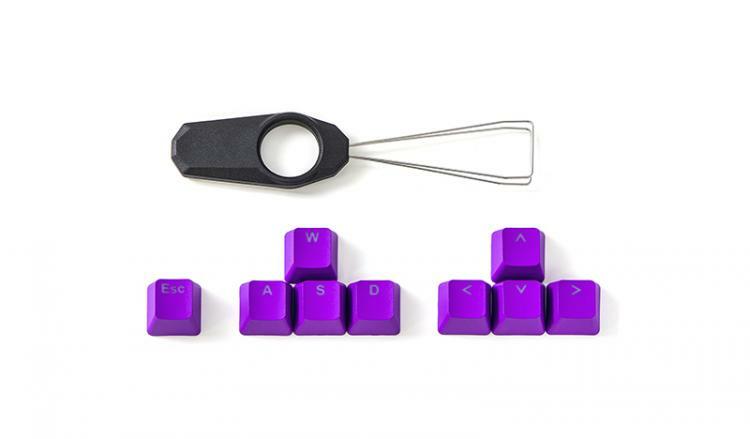 Not necessarily the preference of every gamer, the rest is magnetically held in place so can be removed easily without disrupting the overall keyboard aesthetic if desired. Doing so exposes the keyboard's RGB light bar, also configurable through the provided software. More included features, such as dedicated media keys and 'anti-shine' PBT keycaps, await discovery at http://www.coolermaster.com/peripheral/keyboards/masterkeys-mk750/. The MK750 is available in a wide variation of layouts including UK standard, US standard, French and German, with either tactile Blue, fast Red or heavy tactile Brown Cherry MX switches.